Cloud Transportation Services Inc. is a Kamloops-based specialized transportation company. 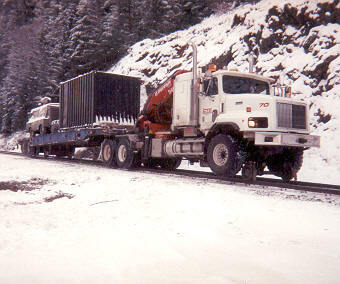 CTS specializes in the movement of heavy equipment and related supplies for rail and general contracting industries. We offer specialized services while maintaining a safe and healthy work place. CTS has Global Positioning System (GPS) technology and Satellite Communication equipment in the Hyrail Tractor. 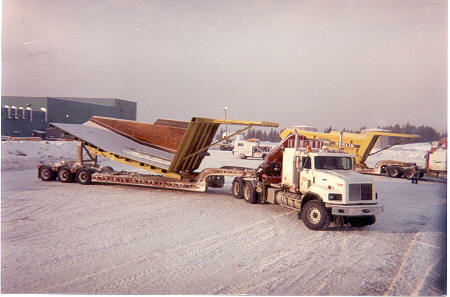 CTS has formed an alliance with Darlen Transport (1986) LTD. which is an aboriginal company. Darlen has various combinations of truck and trailer units from 9-Axle Lowbeds to Super-B Trailers.